Summer is upon us. The warm breeze and the sun feels amazing on my skin when I ride my bike around the city. 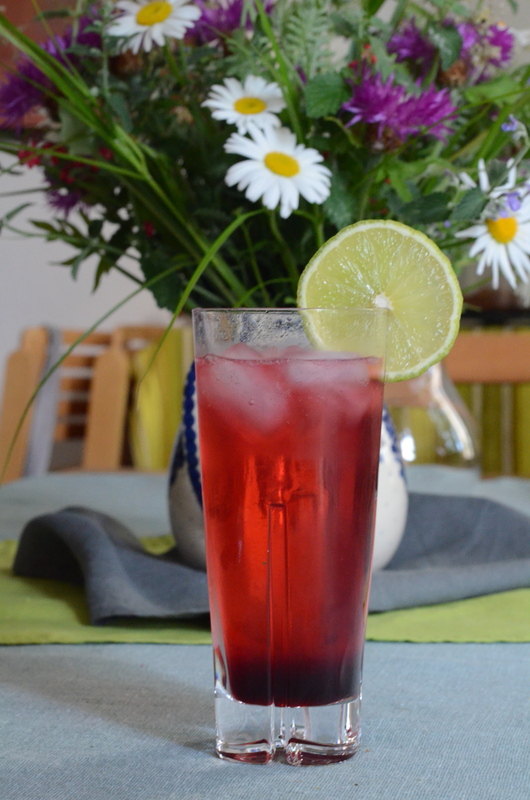 Whenever there is a heatwave, I keep a large pitcher of iced tea made with Jamaican flower tea, or also known as Hibiscus tea, and drink a glass or two when I feel worn out by the heat. This hot pink, wonderfully fragrant and sour tea made from dried Jamaican flowers is a great thirst-quencher, and it is known to bring the body temperature down. As it is Saturday, and the Champions League finale is about to happen in about an hour, I made an alcoholic version. You will have about 230-250ml syrup from the recipe below, which you can mix with sparkling water and lime juice if you don’t feel like drinking alcohol. A small handful of mint muddled a bit before adding the rest of the ingredients for the cocktail would also be lovely. 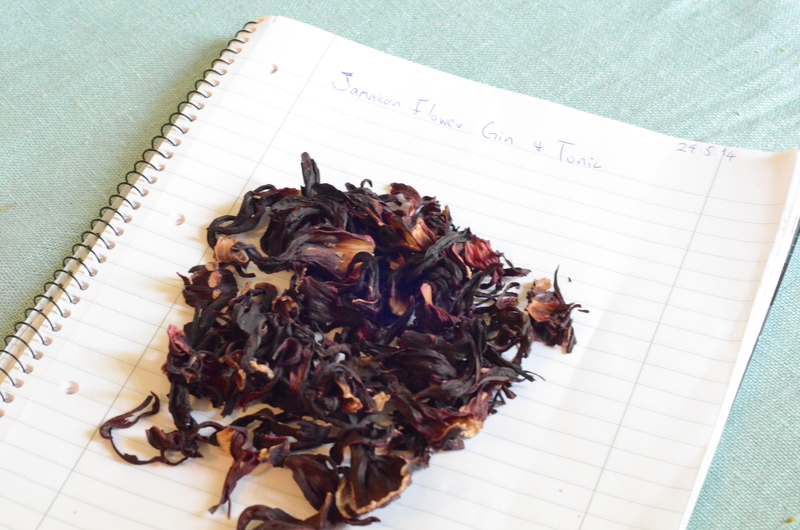 Note: Jamaican flower tea (hibiscus) can be easily bought at specialty tea shops. I bought mine at an organic supermarket in Leipzig called Biomare on Karli. 1. To make the syrup, bring the sugar, water, and ginger to boil, and wait until the sugar has dissolved completely. Add the Jamaican flower tea and remove from the heat. Let it steep for about 30-40 mins. Strain the syrup in a clean glass jar and chill in the fridge. 2. To make the cocktail, add the ice cubes in a tall glass. Add the syrup, lime juice, and gin. Top with tonic water and garnish with a sliced lime.